Can prevent peak voltage and electrical surge; RC absorption and fuse enhance usage safety. Designed with large and thick heat sink that would enhance heat dissipation. Voltage regulator has wave voltage absorbing circuit and effective protects large power silicon controlled rectifier. This product is made of metal shell,high-temperature resistant and durable. Wide application: electric furnace, water heater, lamps, small motor, electric iron etc. Note: AC input. 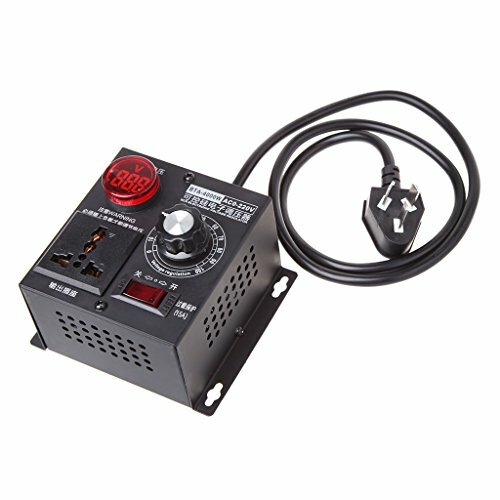 Voltage can be adjusted only when connected to load; mainly used for resistive load. If you have any questions about this product by Goodqueen, contact us by completing and submitting the form below. If you are looking for a specif part number, please include it with your message.